Transferred to the City of Winnipeg Archives from the Mayor's Office. Photograph shows the Lieutenant Governor Errick F. Willis, Q.C. 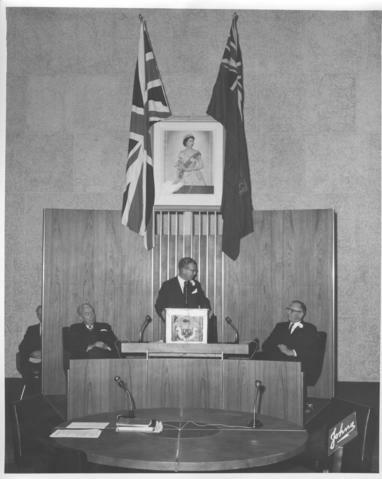 speaking at Special Council Meeting on October 5, 1964.